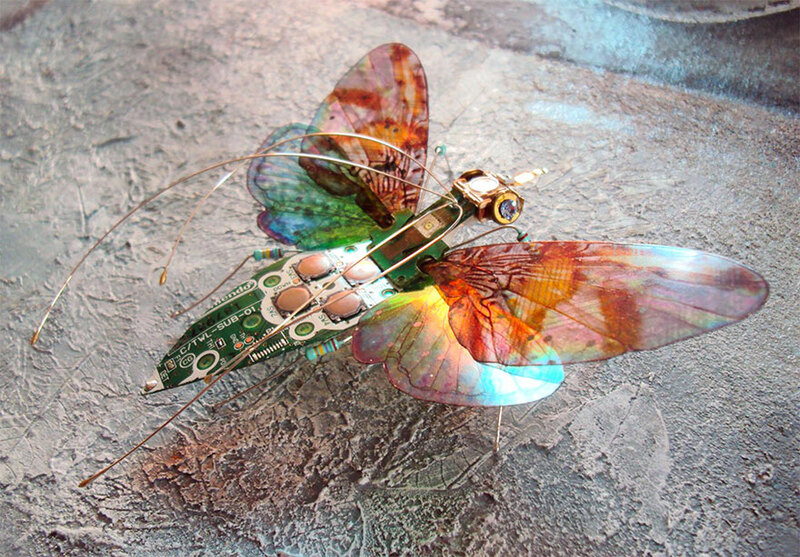 The modern-day definition of artistic is being able to take anything such as trash, scrap metal, and even the tools that we use everyday, to make something beautiful. As technology continues to improve and all consumers continue to change their devices for the upgraded version and therefore discarding their old stuff, some of us try to find ways to recycle the parts of the electronics. Artists like Julie Alice Chappell try to take those materials that were rendered obsolete to create beautiful sculptures that many of us would be stunned about. Based in UK, Chappell goes around collecting pieces of electronic gadgets that were thrown out to take home and weld together, and turn them into into gorgeous recycled art. 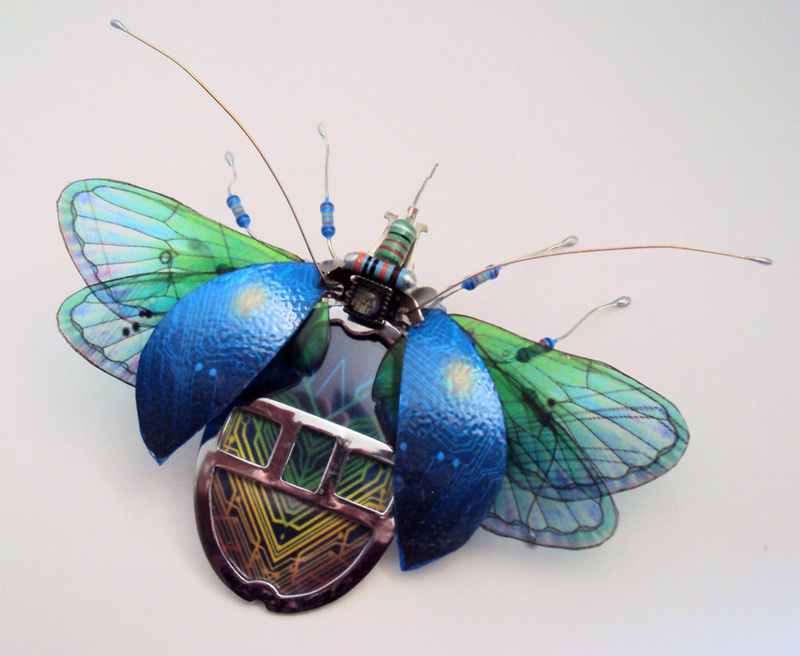 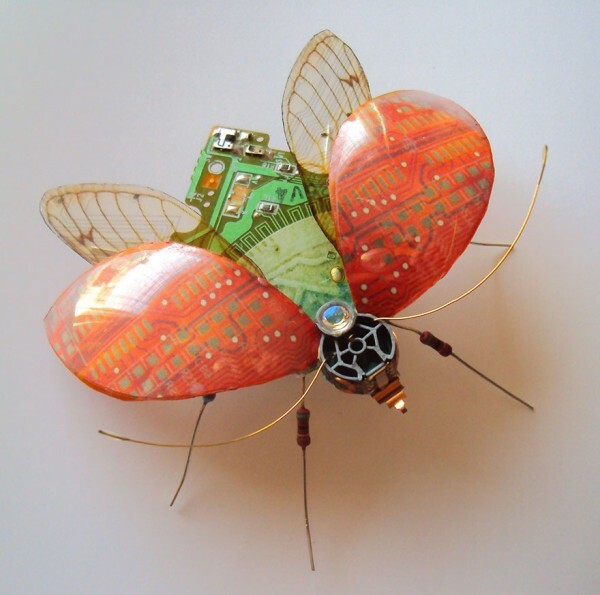 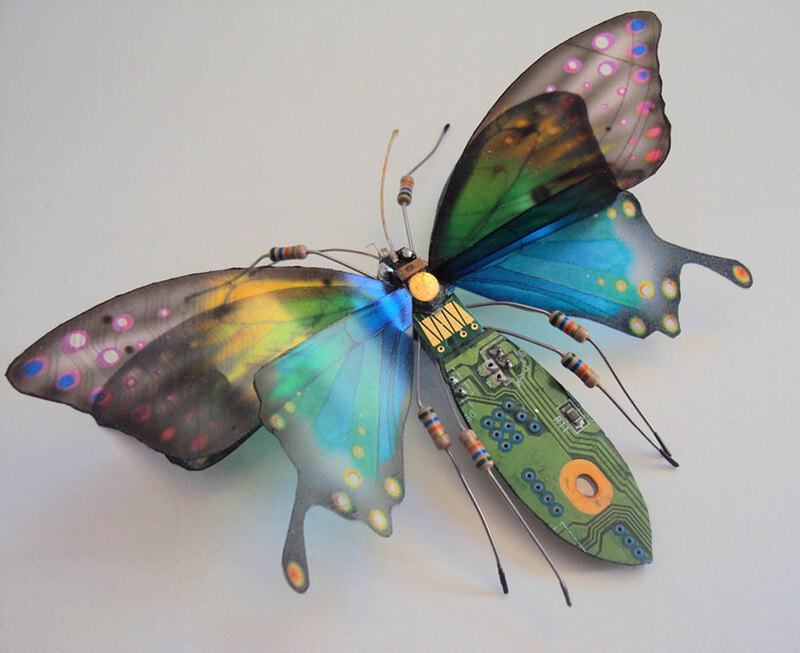 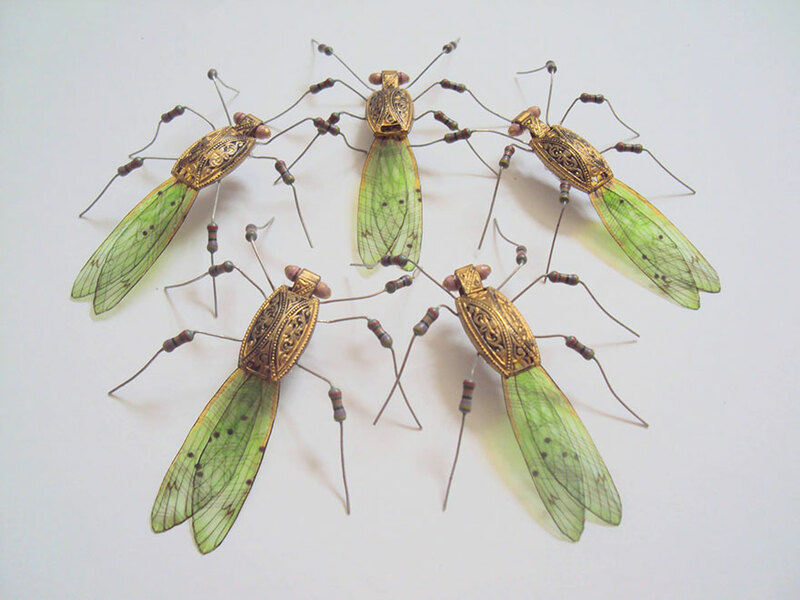 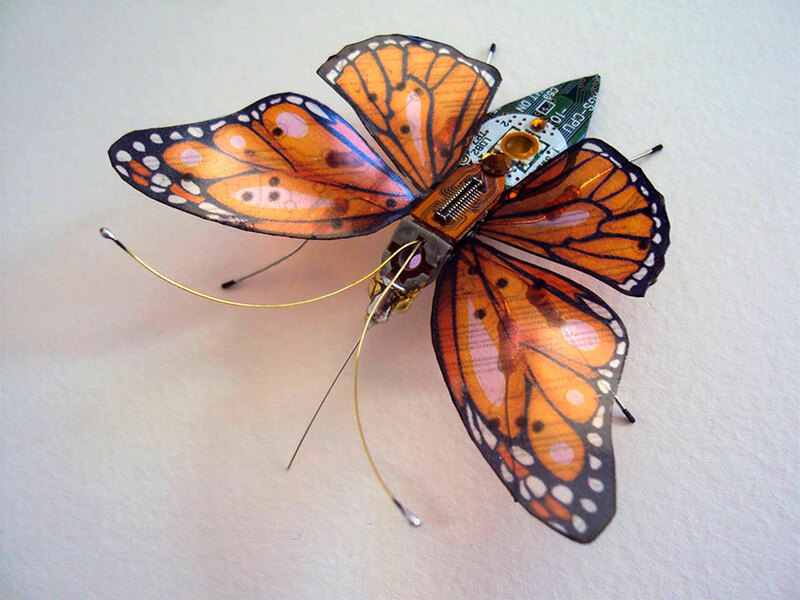 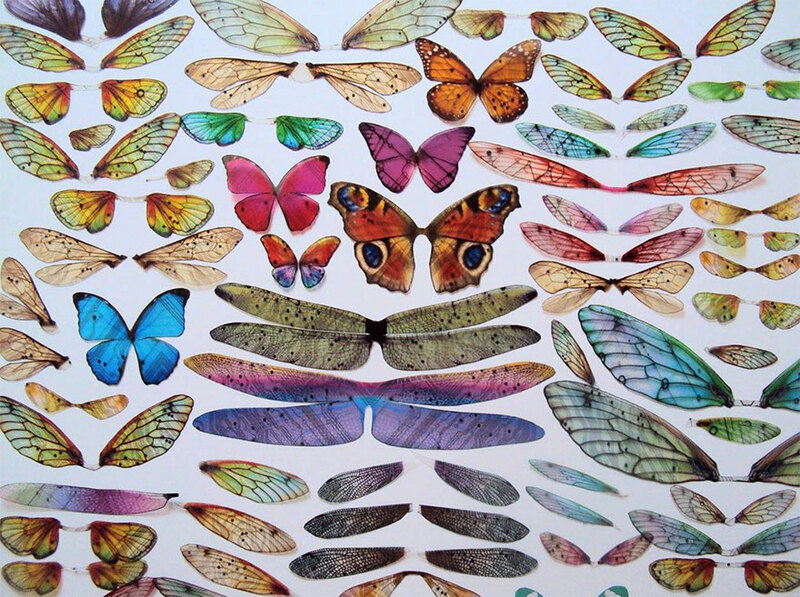 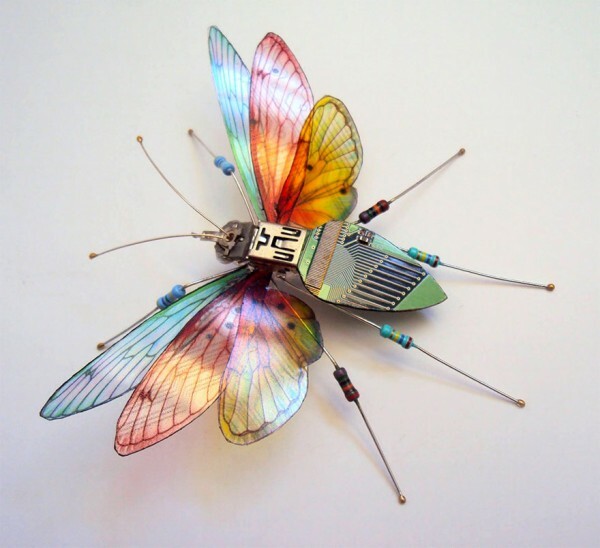 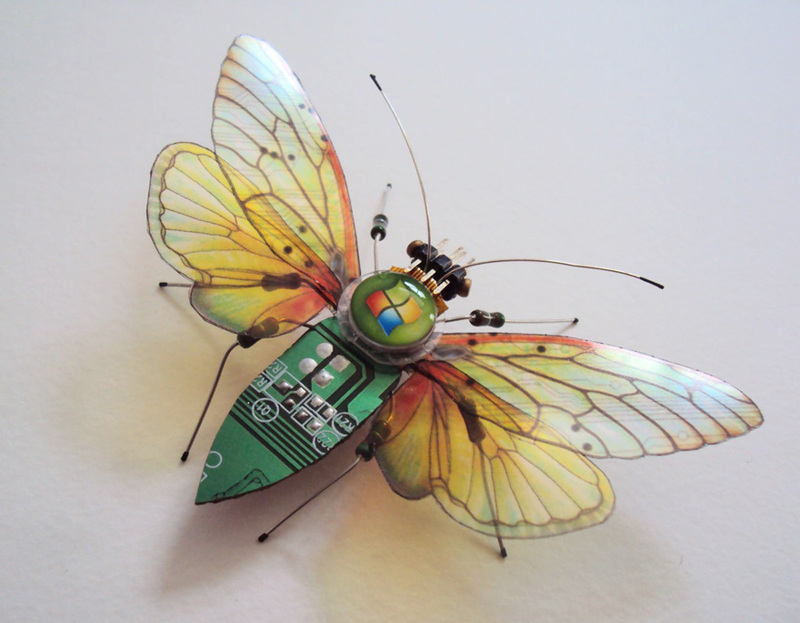 Her latest series called “Computer Component Bugs” makes use of old computer circuit boards and electronics, working them into beautiful winged insects.